PHILLIPINES BANS EATING MEAT OF DEAD HORSE? 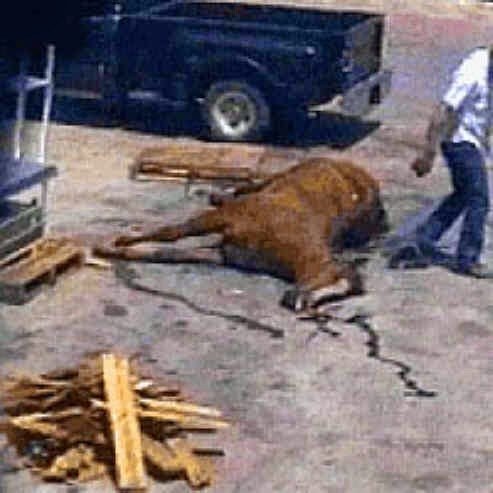 MANILA, Philippines - Butchering dead horses and eating their meat has been banned in the southern Philippines due to the reported deaths of people who contracted Nipah virus in two villages in the southern Philippines in April. The incident was investigated by representatives of the World Health Organisation (WHO) in May, but was not reported to the public, sources told Gulf News on Friday. 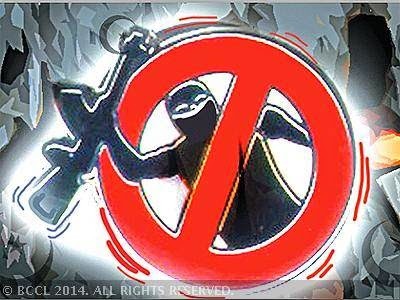 “The ban was not formalised although it is strictly enforced. It is part of an ongoing surveillance in Tinalon and Midtungok villages, in the municipality of Senater Ninoy Aquino, a province in Sultan Kudarat. The order came from village-level representatives of the health and agriculture departments in the two villages after 13 people had died when they [butchered] 10 previously dead horses and ate their meat in April, a chain that also affected cats and dogs,” said a source who requested for anonymity. Manila’s health department did not formally announce the suspected outbreak of Nipah Virus-related cases when it occurred in Sultan Kudarat, the source added. 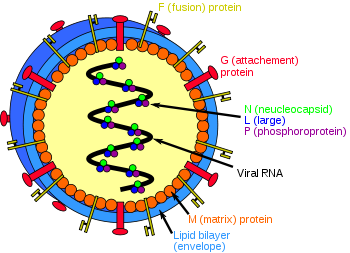 Nipah Virus was blamed for the death of horses, residents, cats, and dogs in Tinalon and Midtungkok villages. The horses were initially contaminated by fruit bats that belong to the family Pteropodidae, endemic in one of the two affected villages and a known natural reservoir of Nipah Virus. Residents, cats, and dogs died because they ate contaminated horse meat, according to a paper published this year by Emerging Infectious Diseases. Umno president Datuk Seri Najib Razak today denied that he had been pressured by his party to renege on his 2012 promise to repeal the Sedition Act 1948. The prime minister told a press conference after the Umno general assembly today that he had decided to retain the act after taking into account "rising tensions" in the country. "No. What we want is for protection. My intention was to guarantee peace in this country, so that there would be no problems between the races in our country,"‎ Najib said when asked if he had been pressured into maintaining the act. "When mulling over this, many incidents were going on that were making people pressured, when religion, the rulers and the position of Malays were being questioned. "It created a situation where tension was rising in the country. So we had to do something to prevent something bad from happening." Earlier in his speech, Najib said amendments to the Sedition Act would be tabled at the next Dewan Rakyat sitting. He said that the controversial law was needed to move the country forward and necessary to curb inter-ethnic tension that was stalling progress. “If we keep bickering among ourselves, there won’t be time to do anything else," he said. Two days ago, Najib said the law would be retained with additional provisions that would make it a crime to insult Islam and other faiths. 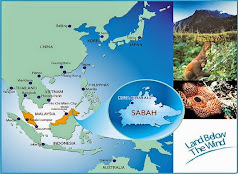 Another provision would prohibit talk on Sabah and Sarawak leaving Malaysia. However, Najib maintained that he had not retreated from his moderate position, noting that the law was to cater to all Malaysians rather than his core support base, the Malays. "I've always maintained that this law is good for Muslims and non-Muslims, Malays and non-Malays. Because it will protect all. It's protection for all. "We don't want any religious or ethnic conflict to happen in this country. We will do our utmost to prevent it from happening." He also insisted that reforms had taken place under his administration, and pointed to the repeal of the Internal Security Act as an example. The law provided for detention without trial. 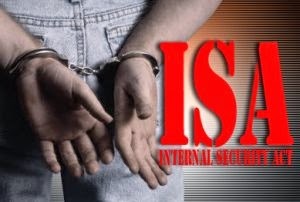 "There are other countries still having ISA. So we have done away with ISA. In other words, we have gone a long way in terms of making this country have more space within the context of a democratic society. "But there cannot be absolute freedom. 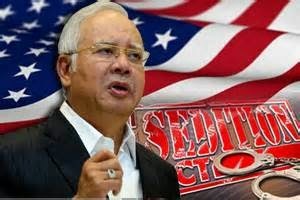 It has to be freedom on the basis that you protect certain fundamental rights," said Najib. 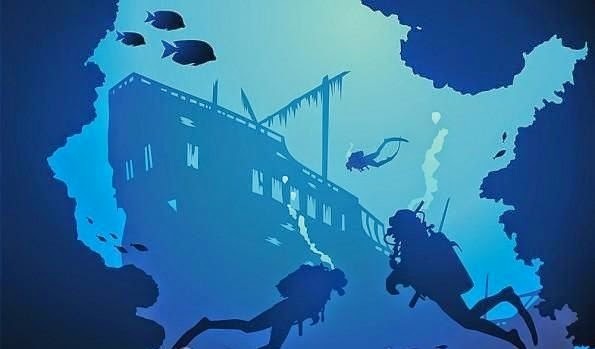 TANJUNG GELANG, Malaysia - A suspected attempt to steal relics from sunken British warships was foiled by the Royal Malaysian Navy (TLDM) following the arrest of 17 Vietnamese seamen on Thursday. A TLDM spokesman said in a statement on Friday that the arrest was made by KD Perkasa, about 60 nautical miles away from Tanjung Gelang at about 6.45am. KD Perkasa, under the leadership of Lt Kdr Mohd Faizzal Mohd Ali, had stopped a diving boat carrying 17 Vietnamese seamen while on their way home upon completion of the Malindo Jaya exercise. The crew, with exception of the captain, were found with no valid identification documents on them. Some of the crew members were in the midst of diving into the seabed when the arrest was made. They were believed to have been carrying out illegal diving activities in the area. 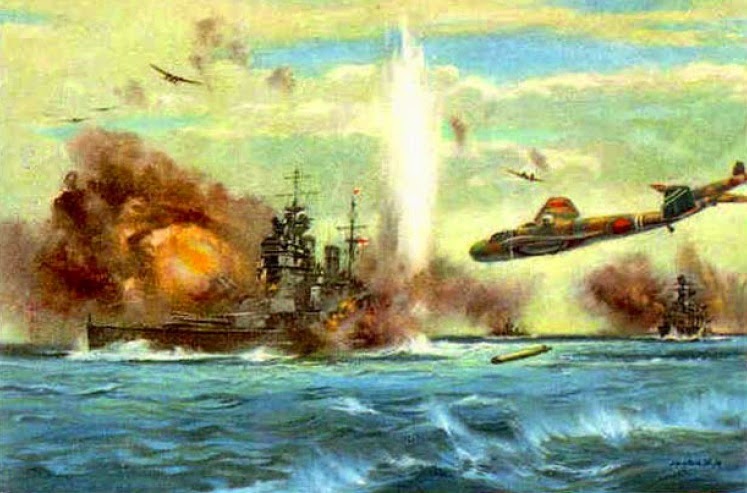 According to sources, two British war ships, namely HMS Repulse and HMS Prince of Wales, had sunk in the area on Dec 10, 1941 during the Second World War. KD Perkasa brought the vessel, crews and seized devices to the Tanjung Gelang Navy Base at around 5.30pm to be handed to the Eastern region Malaysian Maritime Enforcement Agency (MMEA) for further action. 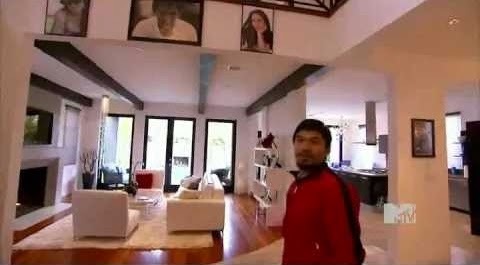 MANILA, Philippines - World boxing champion Manny Pacquiao said Thursday he would sell his mansion in one of the metro's swankiest areas after his neighbors complained of his visitors wearing shabby clothing. Pacquiao told AFP that as a "man of the masses," he is not finicky with his visitors, even if they are wearing "just shorts and slippers." 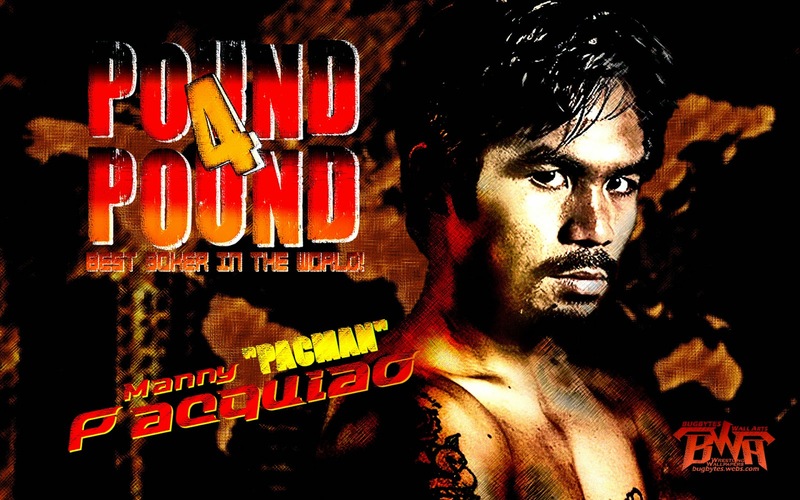 The boxer's rags-to-riches story, from being a fish vendor in his hometown to winning world titles in an unprecedented eight weight divisions, has made him wildly popular in the Philippines. He used his boxing fame to get elected to Congress in 2010 and like many wealthy Filipino politicians, he frequently has to meet with constituents asking for hand-outs and favors. 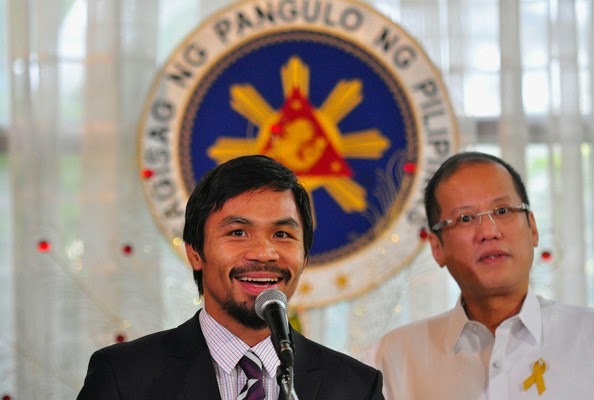 Pacquiao said he would buy a new house where he could accommodate more visitors, who are mostly seeking financial assistance. 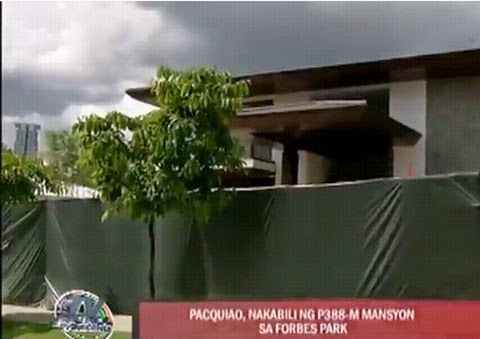 "If there's somebody who is willing to buy, I'm going to sell it," Pacquiao said of the Manila property, which he acquired for P400 million in 2011. He added that he wants to make a profit from the sale as he had made renovations. The 35-year-old said he apologized to his neighbors, though some understood why he was accommodating poor visitors. "I may be as rich as some of them here, but my lifestyle remains the same and so is my heart. I am just a simple man. I will never change that," he said. The three-storey mansion -- in a neighborhood that is home to Manila's old rich -- has five bedrooms, several reception and dining halls, and an office. Pacquiao also owns a fleet of luxury cars, and his hometown mansion in General Santos City has a pool shaped like a boxing glove. He beat American Chris Algieri in Macau last Sunday, in a match that proved to fans that he still has what it takes to face arch-rival Floyd Mayweather. PETALING JAYA: Malaysians have only themselves to blame for the retention of the Sedition Act 1948 as Prime Minister Datuk Seri Najib Tun Razak had "noble will" to abolish it, but was made to think twice due to "idiotic" behaviour, said Datuk Abdul Rahman Dahlan(photo). "It was not easy for the Prime Minister to rescind his earlier promise to abolish the #SeditionAct. We made him do it. He was ready. But we Malaysians were not," said the Kota Belud MP via his official @mpkotabelud Twitter account on Thursday evening. Abdul Rahman, who is also Urban Well-being, Housing and Local Government Minister, added that Najib had "noble will" to repeal the Act, but Malaysians betrayed Najib's trust and could not reciprocate his goodwill. He also said that instead of giving Najib confidence that things would be all right after the Act was repealed, Malaysians gave him "nightmares" instead. 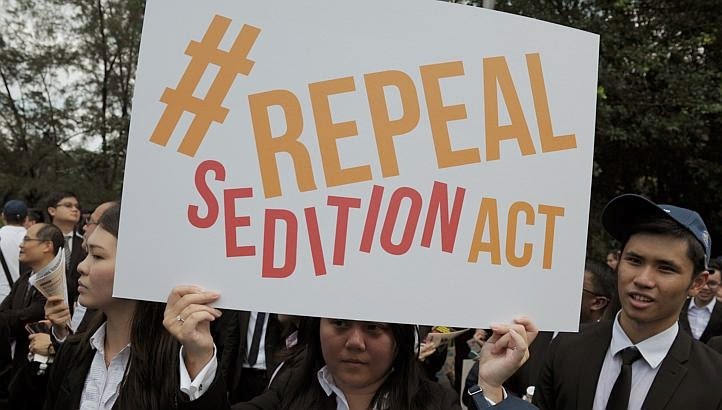 "No Prime Minister worth his salt would repeal the Sedition Act after seeing how we could be capable of spewing hatred and venom at each other! "So the Prime Minister acted rightly. He monitored. He listened. He evaluated. He didn't like what he saw. Don't blame him. Blame ourselves. "Even before it was officially abolished, lots of us were behaving like idiots," said Abdul Rahman in a series of tweets. He added that the stability of Malaysia rests squarely on Najib's shoulders. "So Mr PM, do what you think is right. We support you," he said. He went on to say that with or without the Sedition Act, no one was prevented from criticising Government policies. "That right still exists. Even now it exists with so much latitude," he said in a series of further tweets. Abdul Rahman had also tweeted that it was more than a political issue to call for the independence of Sabah and Sarawak. 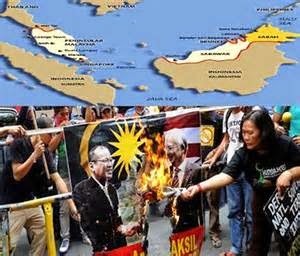 "It is seditious to talk about removing Sabah from Malaysia, it is not a political issue. It is a national security issue and must be dealt with firmly. "I thank Najib for making the right decision to make it an offence under the Sedition Act to make secession (calls) seditious. The Government is responsible for the safety and security of the nation. Not the Opposition" said Abdul Rahman. 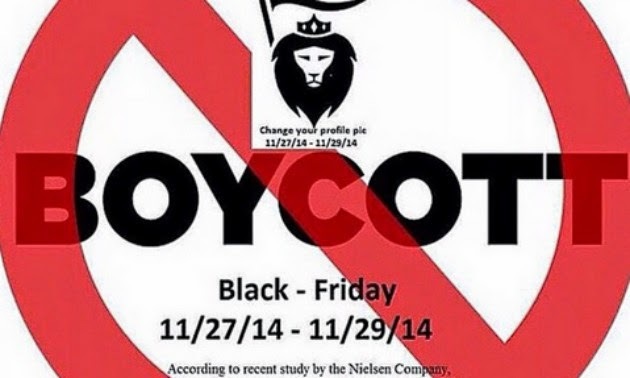 US CELEBRITIES CALLED FOR BLACK FRIDAY BOYCOTT? LOS ANGELES: US celebrities called for a boycott to take place Friday — one of the busiest US shopping days — to protest a grand jury’s decision not to prosecute a police officer who fatally shot a black teen. 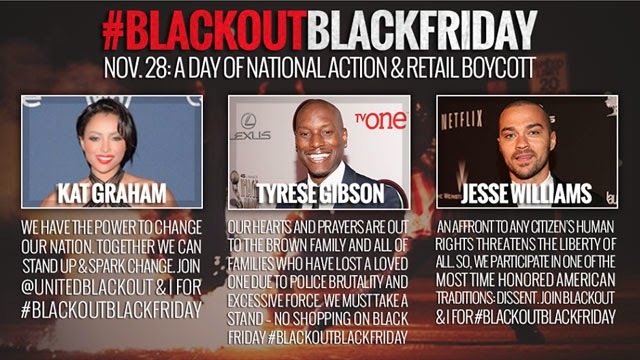 A number of well-known figures, among them hip-hop mogul Russell Simmons, have signed onto the action, under the Twitter hashtags #NotOneDime and #BlackoutBlackFriday. “We have the power to change our nation. Also backing the campaign were TV star Jesse Williams and celebrated journalist Soledad O’Brien, among others. “No Just, No Profit. 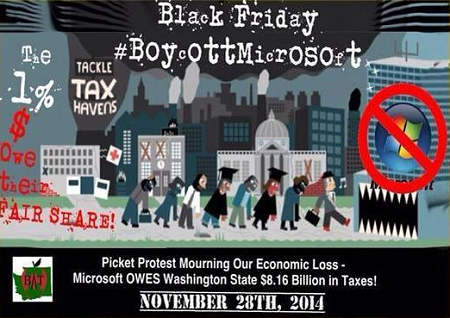 Corporate/public power only speaks $. So let’s talk to ‘em,” Williams tweeted, along with a link to a video compilation of police brutality. 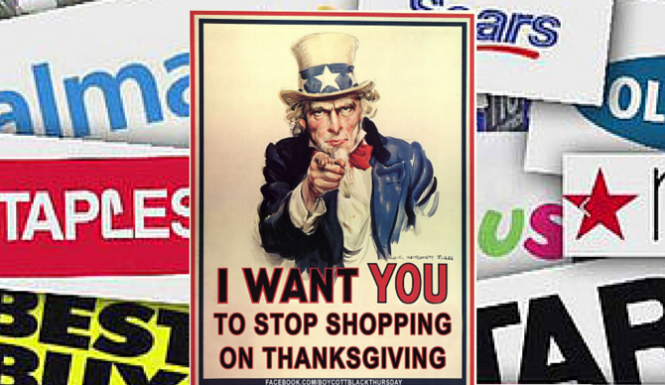 Black Friday is a day of deep commercial discounts and frenzied shopping which takes place each year after the Thursday Thanksgiving holiday in the United States. The planned campaign calls for a one-day moratorium on spending to protest what it calls “staggering” human rights violations in the United States, including police brutality. The boycott was prompted by widespread outrage after a grand jury on Monday failed to indict a white police officer in Ferguson, Missouri who shot and killed black 18-year-old Michael Brown in August. Protests erupted across the US after the decision. 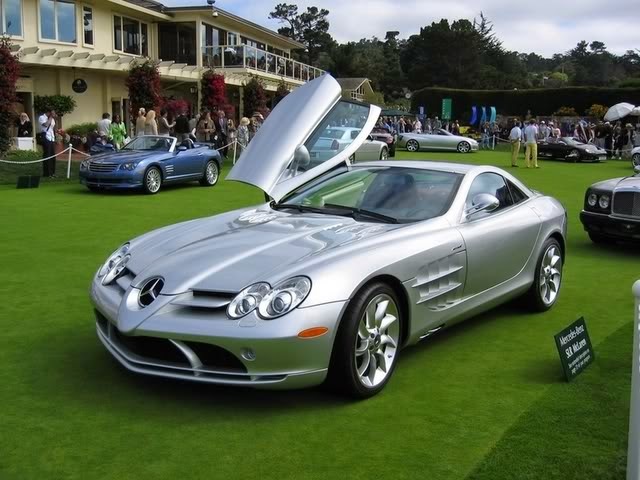 America’s 43 million black citizens will hold about $1.1 trillion in purchasing power by 2015, a Nielsen study said. 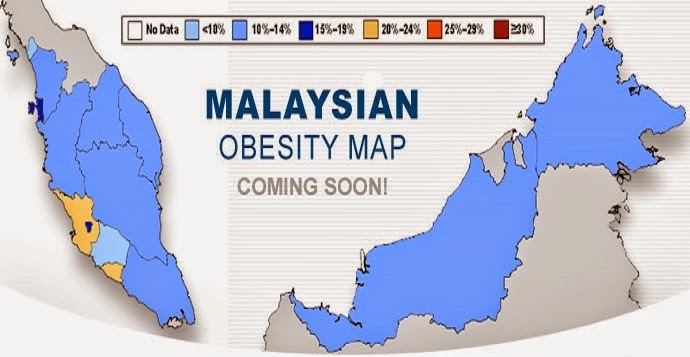 MALAYSIA THE FATTEST COUNTRY IN SOUTHEAST ASIA? Malaysians have a passionate love affair with their lip-smacking cuisine – rich curries, succulent fried chicken, buttery breads and creamy drinks – but it is increasingly an unhealthy relationship. Malaysia is Southeast Asia's fattest country, where a nationwide foodie culture is feeding mounting concern over what its health minister calls "an obesity epidemic." "We are the most obese nation in Southeast Asia, and Malaysians are becoming more obese," Health Minister Datuk Seri S. Subramaniam told AFP, warning of a "crisis in unhealthy behaviour." Nearly 45% of Malaysian men and almost half of women are overweight or obese, according to a 2013 study by UK medical journal Lancet, compared to global rates of around 30%. 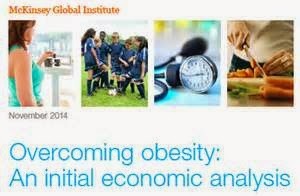 A recent report by consultants McKinsey Global Institution found obesity now costs the global economy US$2 trillion (RM6.7 trillion) in healthcare and lost productivity, or 2.8% of global GDP, just US$100 billion (RM334 billion) less than both smoking and armed conflict. The study warned almost half of the world's adult population will be overweight or obese by 2030 and called for a "coordinated response" from governments, retailers and food and drink manufacturers. Already, some 2.6 million adults have diabetes, a figure authorities expect to spike to 4.5 million in 2020. Malaysia has a population of around 29 million. 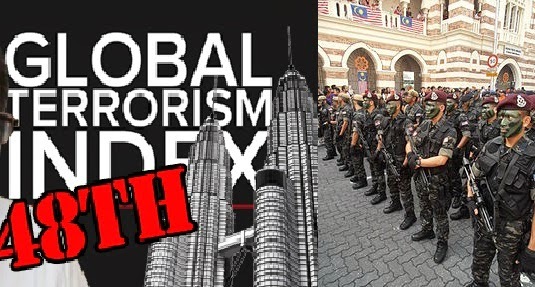 MALAYSIA SOUGHT A NEW ANTI-TERROR LAW TO COMBAT ISLAMIC STATE THREAT? KUALA LUMPUR, Malaysia - A new law will be tabled at the next Parliament session, while existing laws will be strengthened to combat the threat of terrorism in the country. Prime Minister Datuk Seri Najib Tun Razak(photo), who tabled a White Paper entitled "Ke Arah Menangani Ancaman Kumpulan Islamic State (IS)" (Tackling the IS Threat), said that Malaysia was committed to working with the international community to fight extremist ideologies. “Aside from that, this White Paper also proposes to strengthen existing laws such as the Security Offences (Special Measures) Act, Prevention of Crime Act and the Penal code to curb the threat of terrorism and militancy,” he said in a hard hitting speech at the Dewan Rakyat on Wednesday. Najib said the Government, however, realised that laws were insufficient in dealing with the spread of the IS ideology. “I hope to gain the support of all levels of society so that the people will not be influenced by such ideologies. “I urge all Malaysians especially youths and parents to reject this extremist ideology which can destroy the future of all. “The peace and harmony achieved all this while is priceless and should be preserved,” he said. Najib said Malaysia will continue to be committed in cooperating with the international community in combating radicalism, extremism, terrorism and militancy. The 19-page White Paper with a 12-page appendix, including photographs of IS militants and locations stated that the new anti terror law was required to stamp out threats of militancy after 39 Malaysians joined the conflicts in Syria and Iraq. It further stated that 19 suspects escaped court charges due to insufficient proof and efforts to address the threat have become more challenging. “To address new threats concerning the presence of militants in conflict areas and returnees to Malaysia, a specific law is needed. 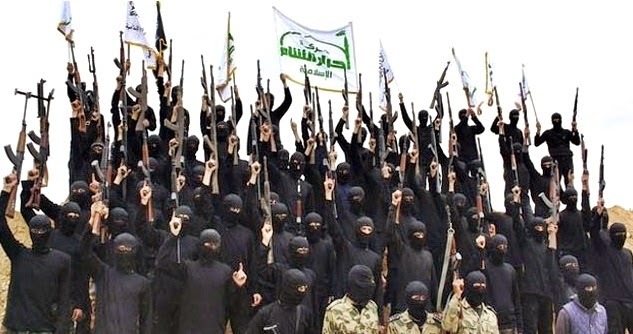 “The rise of IS influence can inspire and re-ignite militant groups in Malaysia. “The call to jihad by IS is very influential as it is based on Islamic compulsion that has been manipulated so Malaysians are compelled to join them,” the Paper said. contain the influence of IS. 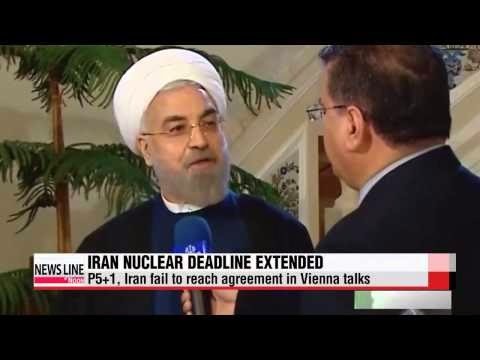 IRAN WILL NOT SINK TO KNEES ON NUCLEAR DEAL? Ayatollah Ali Khamenei, Iran's supreme leader has, said that Western powers will not be able to bring the country to its knees in nuclear talks, but gave his indirect approval for a continuation of the negotiations. 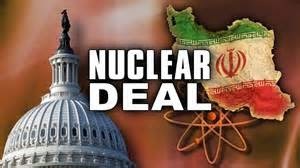 Iran and major global powers agreed on Monday to extend talks into next year after failing to meet a November 24 deadline. The US, UK, Russia, China, France and Germany agreed with Iran to try to sign a political deal by 1 March, with confirmation of the full technical details of the agreement by July 1. In his first remarks since the extension of the deadline, Khamenei said: "On the nuclear issue, the United States and European colonialist countries gathered and applied their entire efforts to bring the Islamic Republic to its knees, but they could not and they will not,"
Khamenei made the remarks to a group of clerics, according to his website. 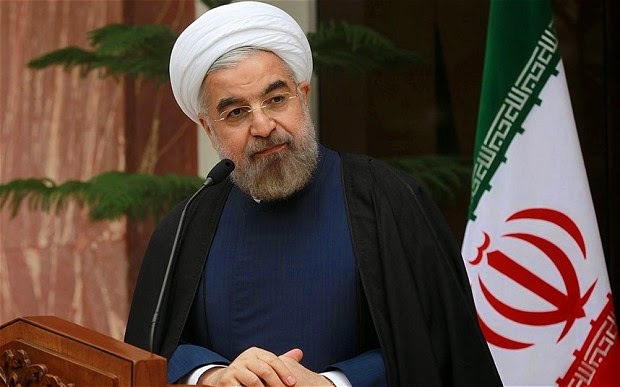 In a nationwide broadcast on Monday, Iran's President Hassan Rouhani told the nation that it "has achieved a significant victory" and "negotiations will lead to a deal, sooner or later". Rouhani also said many obstacles in the talks "have been eliminated". 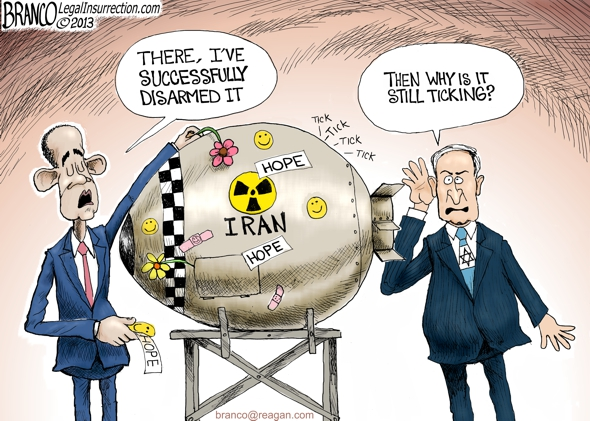 But he also vowed that Tehran would not relinquish its right to nuclear capability. "Our nuclear rights should be admitted by the world," Rouhani said. "We will continue the talks." 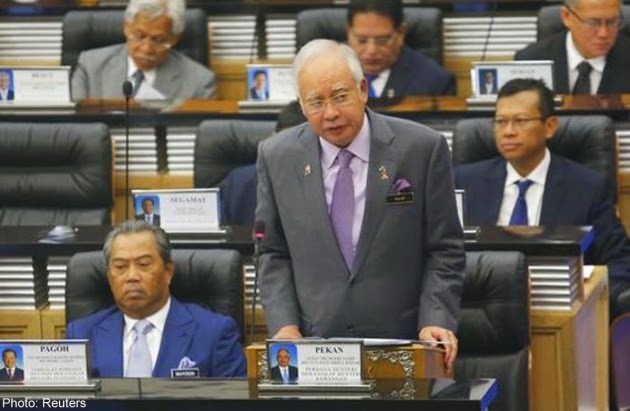 KUALA LUMPUR - The Parliment has passed the 2015 Budget with an allocation of RM273.9billion at 11.45pm Tuesday after a lengthy debate. The budget was passed before Deputy Speaker Datuk Ronald Kiandee after it received a majority vote from lawmakers. 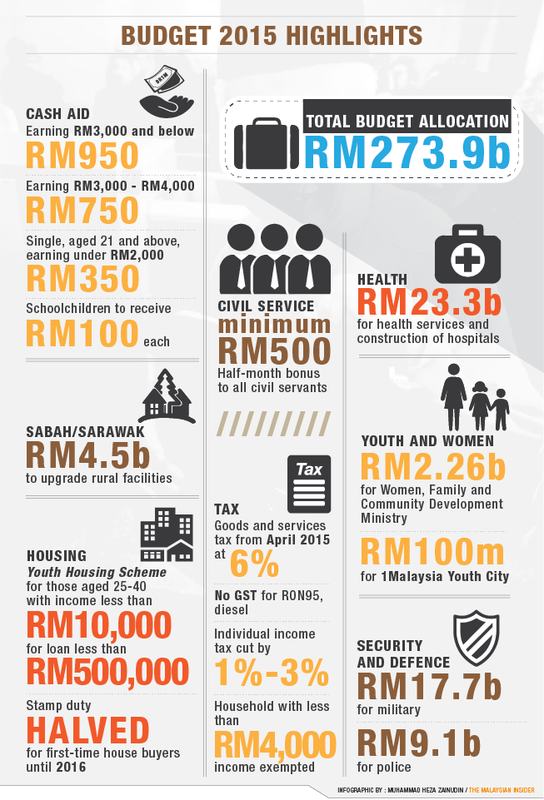 Of the amount, RM223.4bil is for operating expenditure and another RM50.5bil for development expenditure. The operating expenditure comprises RM65.6bil is for emoluments and RM38.1bil for supplies and services. The largest share of RM116.4bil is for fixed charges and grants, RM1.5billion is for purchase of assets and the remaining RM1.8bil for other expenditure. Under the development expenditure, the economic sector will receive the highest share at RM29.3bil, followed by the social sector with RM12.6bil for education and training, health, housing and the well-being of society. In addition, RM4.9bil is allocated to the security sector. The balance of RM1.7bil is for general administration and RM2bil for contingencies. 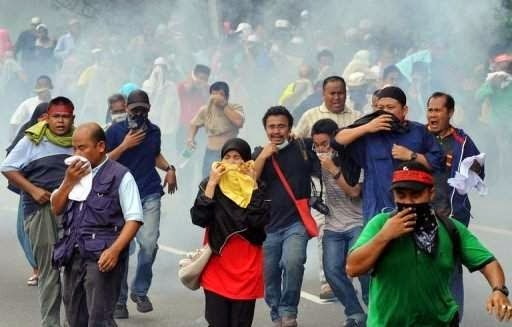 PUTRAJAYA, Malaysia - As soldiers joined the police to flush out illegal immigrants in Cameron Highlands, the Home Ministry warned agents of these workers and "owners" of illegally cleared land who hired them would also not be spared. 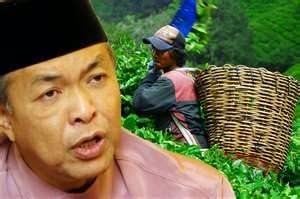 Minister Datuk Seri Dr Ahmad Zahid Hamidi(photo) made it clear that the agents and locals who arranged for the illegal clearing of land were also targets of the wide dragnet. "Yes, the workers may be the ones who did the clearing but who hired them? What about the agents who brought them there?" he asked. "We are working with the relevant authorities to investigate and act against all breakers of the law in Cameron Highlands," Zahid said after officiating at the 60th anniversary celebrations of the Malaysian Film Censorship Board. Defence Minister Datuk Seri Hishammuddin Hussein(photo) said soldiers were called in to beef up the operation following requests from various agencies. "The army's assistance was sought because the search involves forested areas," he said, adding that the role of the troops would be determined after the Deputy Prime Minister's visit on Monday. "We will be fair and will not victimise the innocent," he said. Inspector-General of Police Tan Sri Khalid Abu Bakar said about 40 illegal immigrants were nabbed during a massive operation Saturday night. On a claim by migrant rights group Tenaganita that a worker died in the Ringlet detention centre, the IGP said he was unaware of it and would investigate. Immigration Department director-general Datuk Mustafa Ibrahim said the operation would continue until all illegal immigrants had been removed from Cameron Highlands. 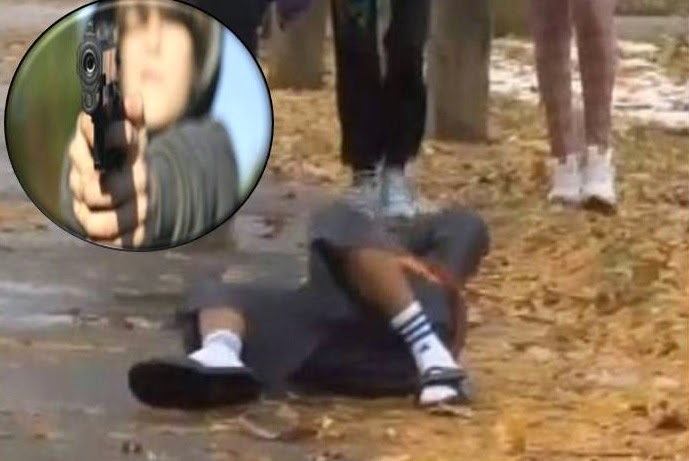 12 YEAR BOY CARRYING TOY GUN SHOOT BY POLICE? 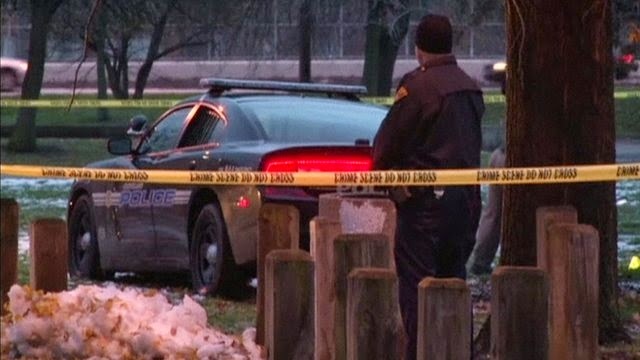 CLEVELAND, U.S.A.- Cleveland police shot and killed a 12-year-old boy who was allegedly carrying an “airsoft” toy gun at a recreation center, police said. 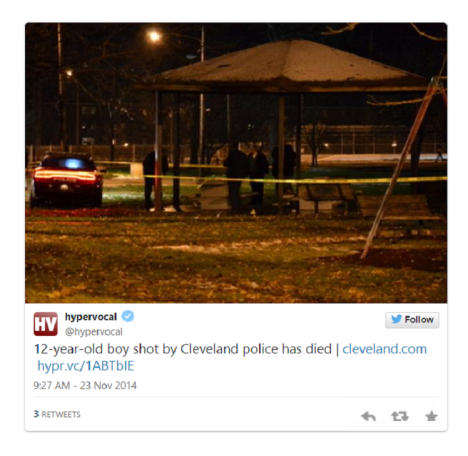 Tamir Rice, who was shot in the torso and went into surgery Saturday, died Sunday morning, police said. Two officers were placed on administrative leave. Police said the officers were responding to a report of a person waving a gun around at a playground at the Cudell Recreation Center about 3:30 p.m. Saturday. Tamir was shot after he allegedly refused to put his hands up and reached in his waistband for what appeared to be a handgun, police said. The handgun turned out to be an “airsoft” replica toy gun, which shoots pellets in a similar way that a BB gun does. Cleveland police said in a statement that an orange marking designed to make the toys distinguishable from real firearms had been removed. A man who called 911 told dispatchers before police arrived that the boy was on a swing set and pointing a pistol that was “probably fake” and scaring everyone. “I don’t know if it’s real or not,” the caller said. Jeff Follmer, president of the Cleveland Police Patrolmen’s Association, told The Assciated Press that the officers weren’t told the caller thought the gun might be fake. The Cuyahoga County Prosecutor’s Office and police are investigating the shooting. 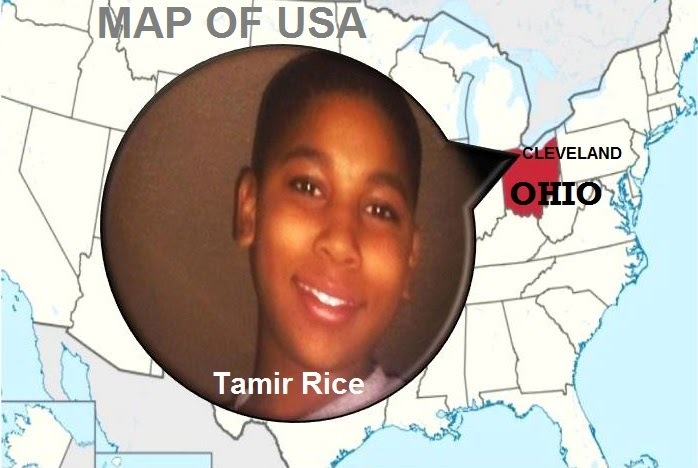 The Cuyahoga County medical examiner released Tamir’s name Sunday. An attorney for the family, Timothy Kucharski, said he didn’t know the details of what led to the shooting, saying he would be conducting a parallel investigation. AMERICAN URGED TO STOP WASTING FOOD? 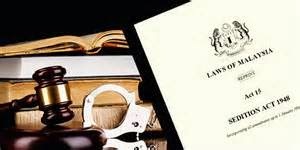 CYBER BLACKMAIL CASES ON THE RISE IN MALAYSIA? ISRAEL WAS BEHIND DOWNING OF MH17? MARILYN MONROE’S LOVE LETTERS UP FOR AUCTION? POLISH WOMAN RISES FROM DEAD, ASKING FOR TEA? MORE YOUTHS IN MALAYSIA HEADING FOR BANKRUPTCY? FBI IS INVESTIGATING RETIRED US DIPLOMAT? MALAYSIA ACCUSED OF HACKING INTO US NEWS WEBSITE? S. AFRICAN POLICE BEING ROBBED IN BROAD DAYLIGHT? WINDOWLESS AIRPLANES FOR FUTURE FLIGHTS? INDONESIAN MAIDS TOO COSTLY IN MALAYSIA?